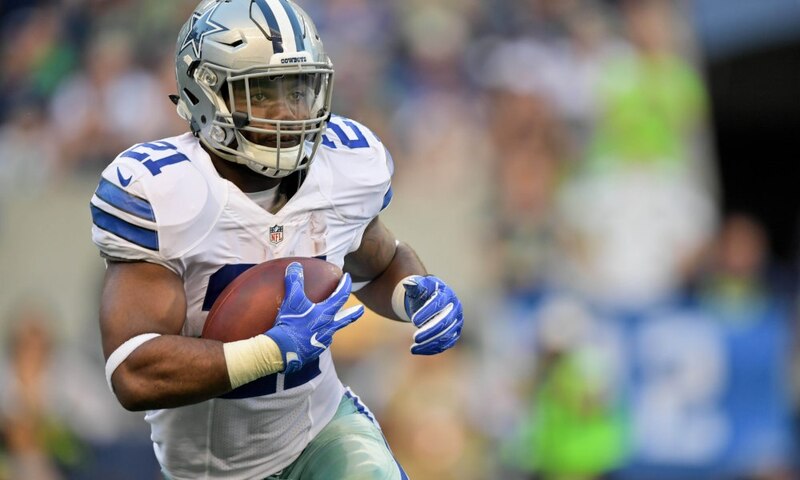 The Columbus (Ohio) City Attorney’s Office announced it has declined to pursue charges against Dallas Cowboys running back Ezekiel Elliott in an alleged domestic violence incident from July involving a former girlfriend. The office said it declined to pursue charges because of “conflicting and inconsistent information.” It also said Elliott was cooperative in the investigation and offered up affidavits and photographs to support his case. NFL spokesman Brian McCarthy said Tuesday that Elliott still remains under review by the NFL for potential discipline. A player does not need to be formally charged with a crime to be punished under the policy. On July 22, Tiffany Thompson filed two police reports claiming Elliott abused her. Thompson told police that Elliott assaulted her while they sat in a parked car, according to one police report. She told police that she had pain in her right wrist and a red mark but declined medical treatment, according to the report. Four witnesses, including one who was sitting in the car at the time of the alleged incident, told police that they did not observe an assault. Thompson also accused Elliott of striking her “several times” and “leaving bruises on her arms” over a five­day period in July, according to a second police report. Elliott, however, told police that he never touched Thompson in “a harmful manner,” saying she suffered the bruises during a bar fight. At the time, Elliott denied the charges and the Cowboys have supported the rookie through the investigation. ESPN typically does not release the names of alleged domestic violence victims, but Thompson, 20, posted Instagram photos showing bruises on her body. One of her posts was tagged to Ezekiel Elliott. The Cowboys open the regular season Sunday against the New York Giants.